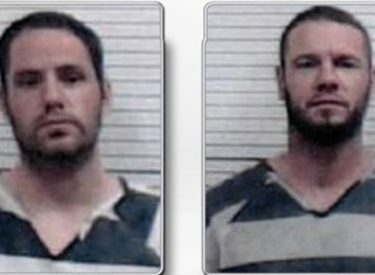 FAIRVIEW, Okla. (AP) – The search for two inmates who escaped after overpowering prison transport officers in northwest Oklahoma moved to northeast Oklahoma after they were spotted at a convenience store in the Tulsa suburb of Sapulpa. Major County Sheriff’s Deputy Gary Swymeler said Thursday that 32-year-old Andrew Foy and 37-year-old Darren Walp of Liberal were seen on surveillance video Wednesday at a Quik Trip along Interstate 44, more than 130 miles (209 kilometers) from where the escaped. Swymeler said the two could be heading to Pennsylvania or Delaware, where both have ties, or could still be in Oklahoma where Walp has ties. Swymeler says they were driving a semitrailer stolen from the Oklahoma City suburb of El Reno when they stopped in Sapulpa and left the trailer in the store parking lot. Authorities say Foy was being taken to Wyoming and Walp to Seward County, Kansas, both to face charges for nonviolent offenses, when they escaped early Tuesday.